Today I will create a holiday word cloud with Tagxedo. I'll know I've got it when I can save my finished word cloud. 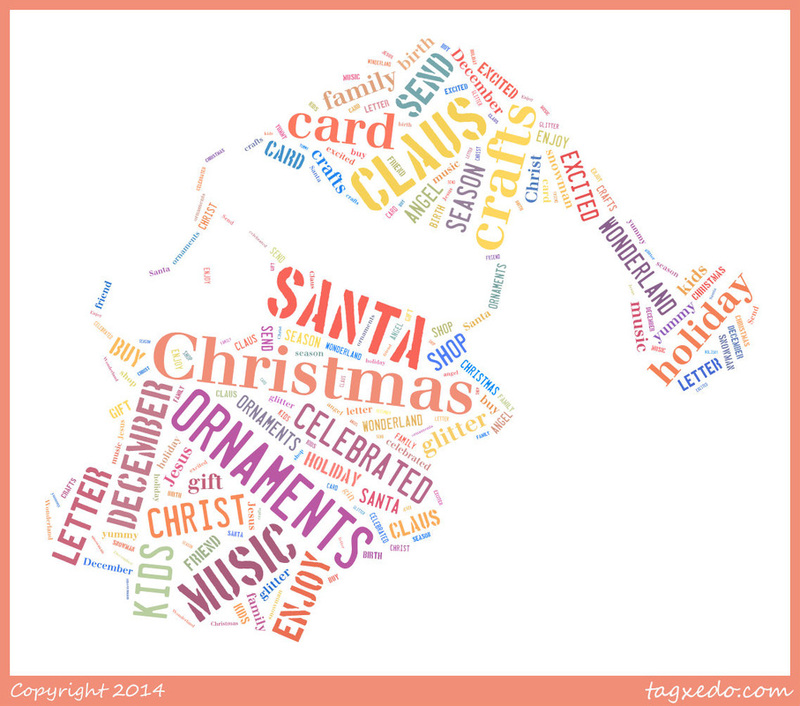 Click here to learn how to create a Tagxedo. Open Word 2013 and type at least twenty or more holiday words. Under Words, click on Load - select, copy, and paste the text you typed in Word by using shortcut keys. Change the shape of your word cloud. Under Options, click on Shape and choose a Holiday shape. Then click on the X to close the shape options window. Under Respins, you may change the look and feel of your word cloud. Choose 1MP JPG under Image tab. Name the file and save it to your folder.